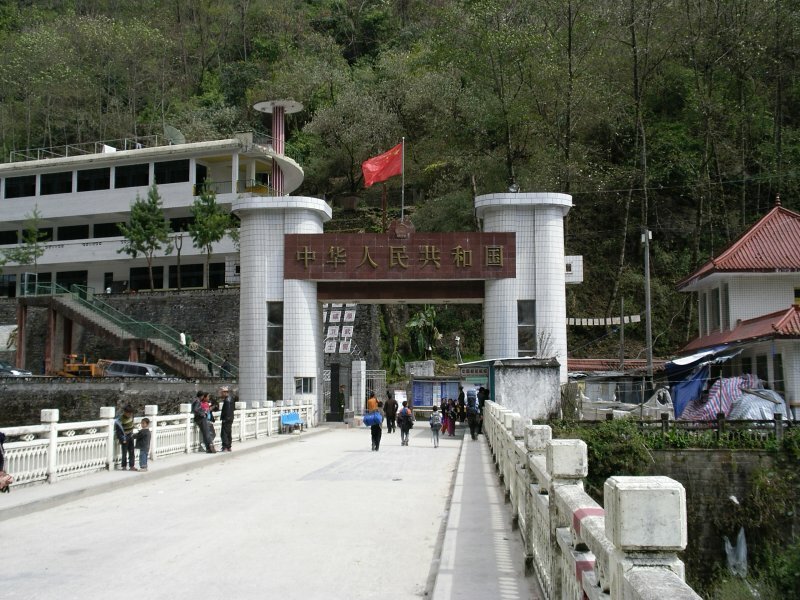 (TibetanReview.net, Jan03, 2015) – Nepal and China have signed an agreement Dec 25 to enable their citizens to travel to the border towns of each other for single-day visits without the need for a visa, reported thehimalayantimes.com Dec 31. Citizens of the two countries will also be allowed to take their motor vehicles along during their travels. The visits will be allowed across the Tatopani-Zhangmu (Tibetan: Dram) and Rasuwagadi-Kerung (Tibetan: Kyirong) border points. The report said agreements in these regards were reached during the eighth meeting of the Nepal-Tibet Joint Tourism Coordination Committee held in the Tibet Autonomous Region over Dec 23-27. Director General Tulsi Prasad Gautam of Nepal’s tourism department led a 16-member Nepali delegation while Vice Chairman of Tibet Autonomous Region of China Mr Zeng Wanming headed a 21-member Chinese delegation. The purpose was stated to be to promote tourism, with the two sides agreeing to build the necessary infrastructure in their respective border areas.